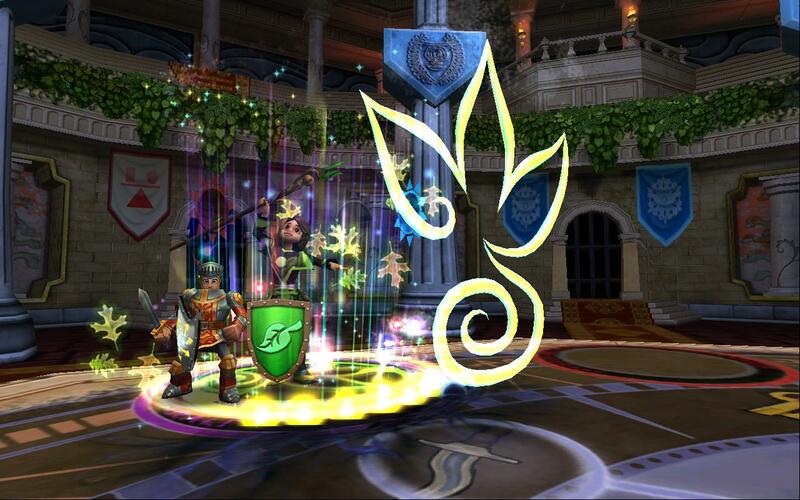 Exalted PvP: A New Stopping Point in the Arena? A New Stopping Point in the Arena? Players in the arena often decide to stop at certain levels. Some, like Grandmaster PvP, are more popular while others, like Promethean, are less. While some people already do level 100 PvP, it’s not too crowded and there is still a lot of potential for it to gain popularity. In this article, we’ll check out some things that can make Exalted PvP more appealing. 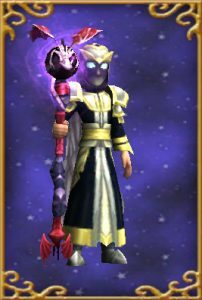 If we exclude Commander and Warlord gear, there have been only two major gear upgrades so far: Waterworks and Darkmoor. There are a few other options like Zigazag, Poseidon and Hades gear, but these can’t be counted as major upgrades. Zigazag serves as a Waterworks alternative and Poseidon and Hades are just additional upgrade choices. Many players still prefer Waterworks over the last two, but you’ll see almost every PvPer swapping their 60 gear for gear from a level 100 dungeon. On the other side, there aren’t really too many upgrades to Exalted gear. There are a few pieces here and there that you can change, but a full upgradeable set is still non-existant. And if KI is going to wait another 40 levels for next major gear upgrade, we could definitly see a low amount of players choosing to PvP between levels 110 and 130. Pierce jewels also haven’t been upgraded for the last 20 levels. Next thing are shadow pips. While shadow pip chance will eventually go up, the increase won’t be as big as it is with regular pips. Triangle jewels receive only 1% extra chance every 10 levels and without major gear upgrades we’re bound to almost the same chance at levels 100 and 120. Another thing is the amount of shadow pips we can accumulate. Khrysalis gave us the possibility of storing 2 shadow pips. Twenty levels later we can still store the same amount of shadow pips. While the ability to store 2 shadow pips is good enough, having one extra slot would definitely have a lot of potential to have an effect on Exalted PvP’s popularity. While spell upgrades are notable – especially with level 118 spells – I feel that the difference simply isn’t that important. Since level 1 we have slowly progressed and have gradually been getting access to stronger spells. That was until we reached Darkmoor part 2, which provided us with a massive upgrade. After that, the situation calmed down again and we have gone back to the old track of slowly gaining more power. There also isn’t any sight of more Shadow school spells. In Khrysalis, we can train a total amount of 6 shadow spells and that’s pretty much it. There is nothing after that – no upgrades, no nothing. Doing PvP at levels that aren’t max gives us more variety in the opponents we face. At max level, we’re stuck to face either equally ranked players who are the same level or higher ranked lower levels. However, when we decide to stop at a certain point, we get access to one more group of players: higher levels who have lower rank than we do. This often result in an easier path toward reaching high ranks. While changes in the critical system have the same effect for all levels, there is an extra benefit for Exalted wizards. When critical was still doing x2 damage we received an amulet, that helped us with this: the dropped amulet from the Rat with high resist and high block. 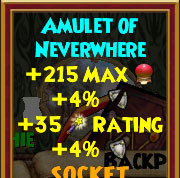 This amulet alone was a great reason to level up to at least 110. With critical losing importance in PvP, we can now chill with Darkmoor or Morganthe amulets. Another thing is critical and block decay. While it’s not nearly as important as it used to be, it still exist. But at the end it’s still there and having these few extra percents because we’re not effected with decay is always nice. PvPing at Exalted is no exception when it comes to negatives. We already mentioned hitting ranks to face higher level warlords, but that’s not all that can happen. Another big disadvantage is being in a close range to Archmage jades. While there are lot of tools to face them, it’s still really unpleasant to fight them – especially the juju spammers. Last thing is the unpredictable future. The situation with no major upgrades can drag on for 20 or 30 more levels or we can get the next big thing in few months. 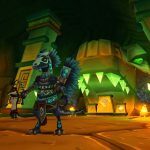 An update with an impact as big as the Shadow/Darkmoor update can put Exalted PvP in a bit of a tricky situation. Do you think Exalted PvP has what it take to become next popular stopping point or will it quickly diminish?